Is growing commercial arable crops a relaxing way of life? Ask any farmer or contractor and the answer is ‘no way’. 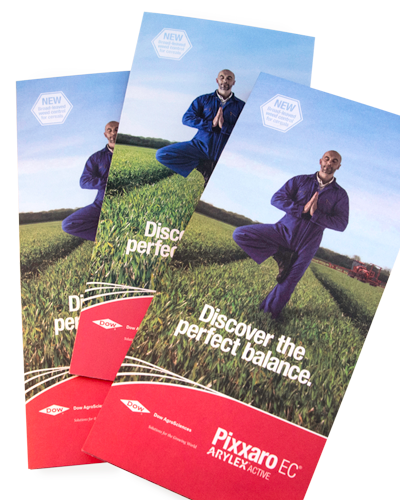 Are modern-day farmers and contractors an audience that are into health, well-being and yoga? No way, in the main. Well, that was what the focus groups said. Then they saw the creative idea. They laughed. They guffawed. Then they all agreed, out of all the concepts shown to them it stood out. And yes, they would recall it. At the start of 2016, Dow AgroSciences launched brand new chemistry to control broad-leaved weeds in cereals into the global market. Creating the UK campaign fell to us. 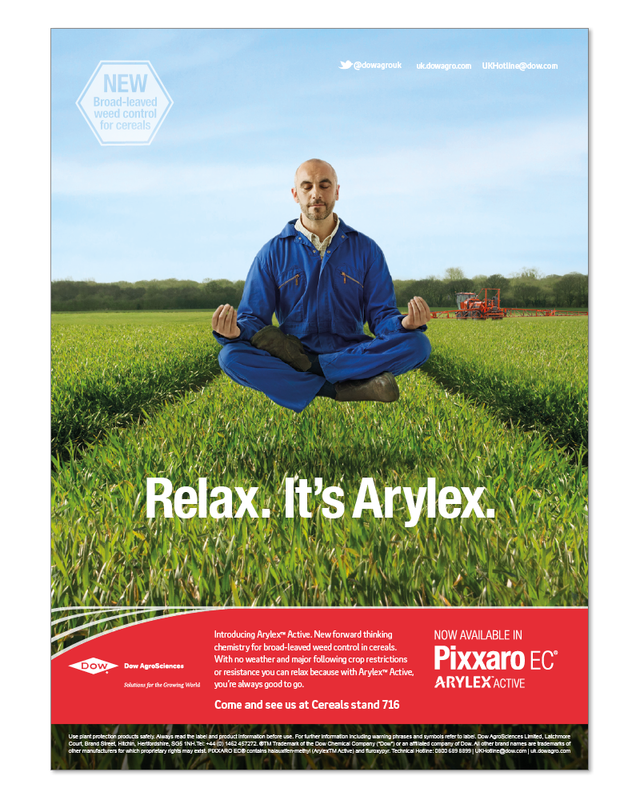 Its active ingredients are the biggest step change in weed control the sector has seen in the last seven years, and is far more efficient and cost-effective than predecessors and competitors. This was a big launch that needed a big, single-minded idea. 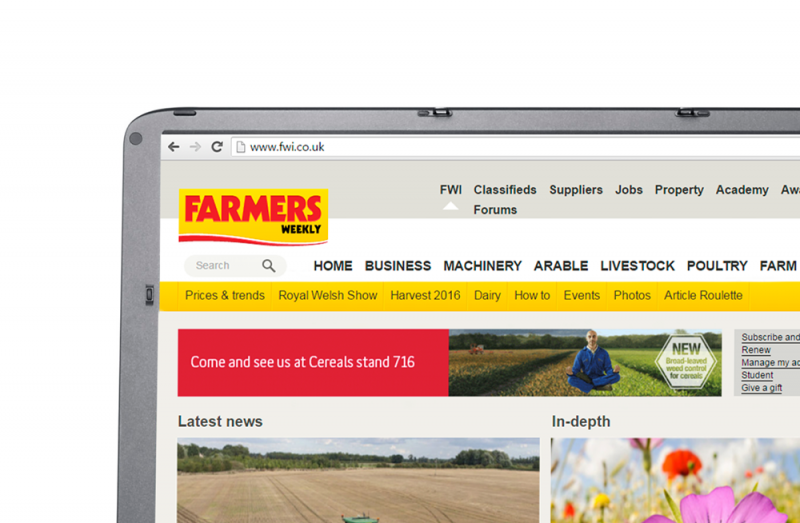 We found it: a levitating farmer. Perfect abruption for the sector. 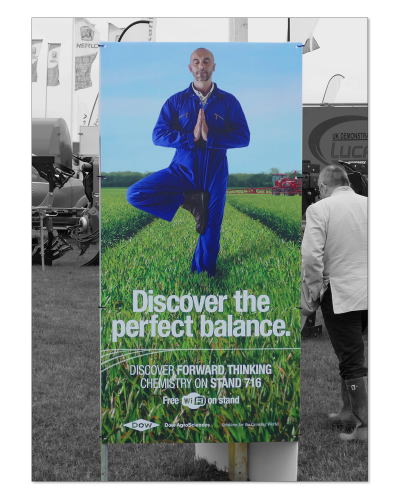 Of course the next natural step was to have a real-life levitating farmer at the UK launch event. But more of that in later posts.